Winners and losers among the space start-ups. With the advent of sites like Kickstarter and Indiegogo in the past few years, crowd-funding has become a popular way to pay for everything from financing your trek across Europe to bankrolling indie movies. And with NASA perpetually strapped for money, it’s no surprise that crowd-funding has hit the space business too. But space projects are expensive, and not every campaign works. Planetary Resources asked for $1 million to work on its Arkyd orbital space telescope and ended up with more than $1.5 million, making it the most successful crowdfunded space project to date. But when Golden Spike attempted to raise $240,000 to jumpstart a human mission to the moon, they received less than one tenth of the requested amount. Both projects are technically feasible, if ambitious, and both involve respected experts and ex-NASA personnel. So why the difference? What makes for an effective large-scale funding campaign? A study examining much smaller, non space-related science projects found that it essentially comes down to two things: communication and involvement. The study found strong links between the amount of social networking a project does and the number of hits the project’s website gets. Interestingly, “likes” on Facebook seemed to outweigh traditional media coverage for getting attention, and gaining early likes from friends and family made a crucial difference. “We found that scientists who built an audience for their work and then reached out to that audience were able to achieve higher levels of funding,” says Jarrett Byrnes, the study’s lead author, by email. The area of study didn’t seem to make much of a difference, leading to worries that a public enamored of cute baby animals and celebrities might only give money to what the study calls “panda bear science.” But that proved not to be the case—the researchers’ ability to transmit their enthusiasm to the general public was what made the difference. 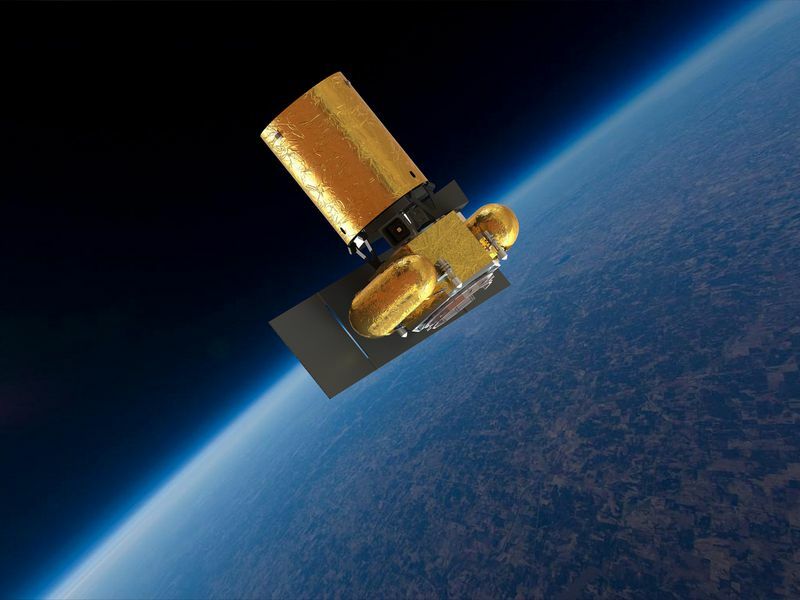 For lessons on how to do that, would-be space crowdfunding projects might look to the recent campaign to revive NASA’s ISEE-3 satellite. The spacecraft was launched in 1978 to study the sun, and was later re-routed for another mission. After that, NASA decided it was done with the satellite, and shut it down. But its orbit meant it would come zipping back by Earth, and Keith Cowing and Dennis Wingo knew it. So they assembled a team and raised nearly $160,000 on Rockethub. Two thousand two hundred and eight people contributed, mostly in increments of $10-20. Most of it was used to recreate the long-disassembled communications equipment they needed to re-establish contact with the satellite. One thing that may account for Arkyd’s success (and Golden Spike’s failure) is involving the public. Most crowdfunding sites prescribe a series of donation checkpoints, where the donor gets something in return. For example, for $25 Arkyd pledges to display your picture on a screen outside the orbiting telescope, and send you a picture of that as proof. Golden Spike, in comparison, offers to sign you up for their mailing list. If it’s true that you need to get something to give something, it’s probably no coincidence that the top crowdfunding project to date, by a wide margin, is the video game “Star Citizen,” which has pulled in $51 million so far. “Given that space-oriented projects such as the Arkyd space telescope have managed to raise more than $1 million, we think there is tremendous potential to scale up,” says Byrnes.